When Star Wars: The Force Awakens finally hit theaters last year, fans learned the answers to a lot of questions, although there were many other mysteries that remained unsolved. In the months leading into the theatrical release, director J.J. Abrams made it clear that there was a good reason the surnames for both Rey (Daisy Ridley) and Finn (John Boyega) have not yet been revealed. There are plenty of rumors that the subsequent sequels Star Wars 8 and Star Wars 9 will eventually reveal the true parents for both Rey and Finn, but today we have a new report which claims that Star Wars: The Force Awakens may have already revealed Rey's parents, at least according to Daisy Ridley. Time Out caught up with Daisy Ridley, who was promoting the documentary The Eagle and the Huntress, which she serves as a narrator for. When asked about Rey's parents, the actress seemed to be caught off guard, hinting that Rey's parents were already revealed in Star Wars: The Force Awakens. Here's what the actress had to say below. "I thought a lot was answered in The Force Awakens. Then after the screening I went for a drink with my agent and everyone, and we were chatting away and I realized that oh, in their minds it's not answered at all!" It's worth noting that, earlier this year, director J.J. Abrams made it clear during a Q&A that Rey's parents aren't revealed in Star Wars: The Force Awakens, adding that he "couldn't possibly tell you" who her parents are. He then clarified that he merely meant Rey doesn't discover who her parents are in The Force Awakens, hinting that, "they may not already be in her world." Given how sensitive Rey is with The Force, many fans have assumed that Rey is in fact Luke Skywalker's (Mark Hamill) daughter, which may be revealed in the upcoming Star Wars 8. Many fans have criticized The Force Awakens for its similarities to A New Hope, George Lucas' 1977 classic that started it all. 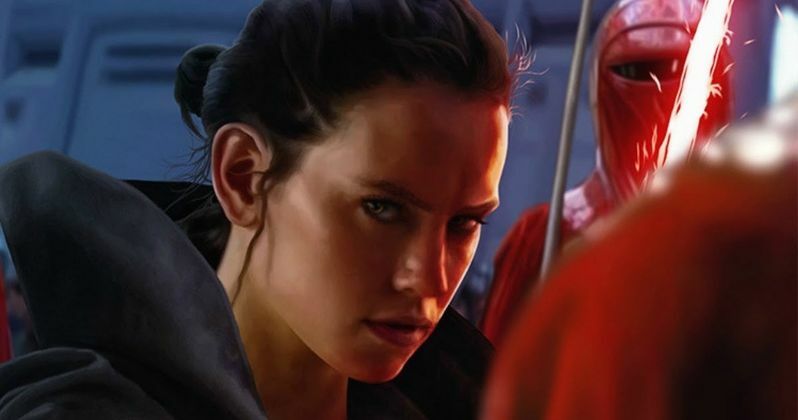 While no plot details for Star Wars 8 have been confirmed, the plot rumors that have surfaced thus far claim that Rey will begin her Jedi training with Luke Skywalker, although she is drawn away to save her friends Finn (John Boyega) and Poe Dameron (Oscar Isaac), who have been captured by Kylo Ren as bait to lure her into a trap, so they can square off again. There is also another theory that claims Rey's family may date back to the first prequel, The Phantom Menace, where earlier drafts featured Qui-Gon (Liam Neeson) and Shmi Skywalker (Pernilla August) had an affair. While this idea was never used in the film, it's possible that Rey is a descendant of Qui-Gon and Shmi, which would explain her sensitivity to The Force. Regardless of all these theories, it seems that Daisy Ridley may know something that the rest of us don't, in regards to Rey's parents in Star Wars: The Force Awakens.